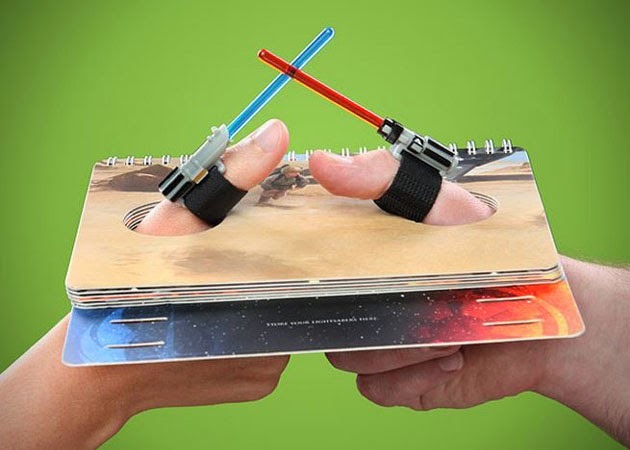 "This Star Wars game in a book provides hours of fun for thumb-wrestling masters or their apprentices. Opponents Velcro on the lightsabers included (one blue, one red); open the book to one of seven durable "game board" pages depicting classic Star Wars battles; stick their thumbs through the holes; and use the Force (of thumb and imagination) to wrestle to victory!" 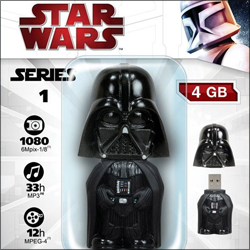 Star Wars Lightsaber Thumb Wrestling is a perfect game to take on long road trips, it will keep your younglings engaged and happy and leave you to focus on the path your navicomp is guiding you on.